Adam Scott (Actor) - Bio, Height, Age, Wife, Kids, Siblings, Family, Is He Gay? 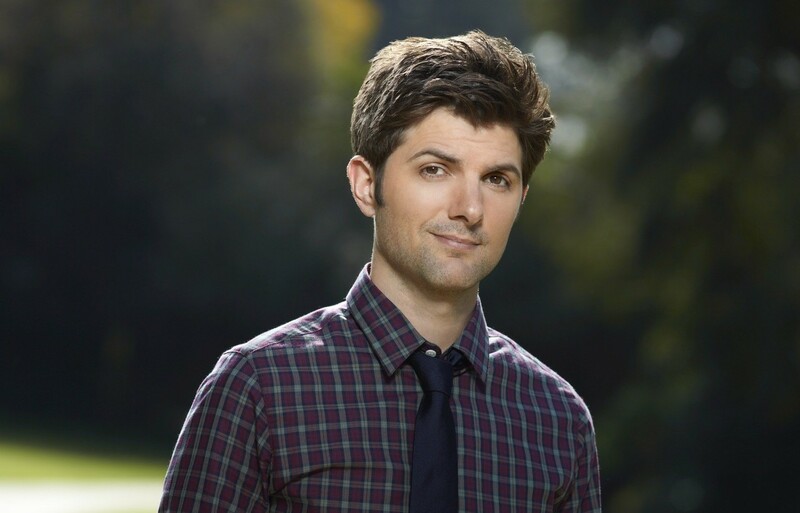 Adam Scott, a skillful American actor who is widely known as Ben Wyatt following the character he played in the NBC comedy series, Park and Recreation. His sensational performance in the sitcom earned him a nomination in Critics’ Choice Television Award for Best Actor in a Comedy Series. He also leaped into stardom by starring in the movie Vicious Kind which further landed him multiple public recognition and accolades including Sidewalk Film Festival Award. The sensational actor has also done some works as a producer and Podcaster. His production credits include The Overnight, Passenger Side and A.C.O.D. Read on as we explore the life, career, and family of the talented American actor. The multi-talented podcaster was born in Santa Cruz, California, on 3rd April 1973 to Anne Scott and Douglas Scott. He grew up in his hometown along with his two siblings; David Scott and Shannon Scott. He is of Sicilian ethnicity. Adam Scott has managed to keep information about his childhood away from the media. Regarding his educational achievements, he is a graduate of Harbor High School and later completed his higher education from the American Academy of Dramatic Arts in Los Angeles, California. The award-winning actor kicked off his acting career immediately after his graduation from the American Academy of Dramatic Arts with his film debut Cityscapes: Los Angeles in 1994, where he was cast to play the character of Joe. Also in the same year, he landed another role as Dan in the movie titled Dead at 21. Adam Scott’s walk of fame started with the brilliant display of his acting skills in the popular TV comedy series, Park and Recreation. Since then, he has had quite a busy acting career as he went on to feature in quite a number of movies and television series. The highlights of his unique acting brilliance can be seen in the movies like The Vicious Kind, Passenger Side, The Secret Life of Walter Mitty, Leap Year, Monster-in-Law, Torque, Krampus, Flower and The Most Hated Woman in America. Other television series he has starred in include Six Feet Under, Park and Recreation, Children’s Hospital, Big Little Lies and Ghosted. Furthermore, the popular American actor has gone ahead to earn several awards and nominations as a result of his sensational acting skills including Strasbourg International Film Festival Award and Sidewalk Film Festival Award. These he earned following his outstanding performance in The Vicious Kind. Scott has also bagged numerous nominations in awards like Film Independent Spirit Awards, Gold Derby Awards, and Critics’ Choice Television Awards. His extraordinary performances in the movie industry have fetched his fame and fortune, of which he is reported to have achieved an estimated net worth of $8 million. The Award-winning actor is married to renown film producer, Naomi Scott. The pair solemnized their union in 2005. Soon after, the couple welcomed their two sons named; Frankie Scott and Graham Scott. Much is not known about their married life as the couple has succeeded in keeping such information away from the prying eyes of the media. Well, they are still known to be together. The notable producer also has two older siblings namely; David Scott and Shannon Scott. They all grew up together in Santa Cruz, California. See Also: Seth Green Wife, Height, Net Worth, Bio, Age, Is He Gay? By all indications, Adam Scott is very far from being interested in people of his own gender. As mentioned earlier, the American actor is happily married and there has not been any substantial report about him having a relationship with a man. Scott has the height of an average American male, which is 5 feet 10 inches (1.78 m) and his body weight is about 75kg or 165lbs. He wears a shoe size of 10 (US).